Unbroken takes home a silver medal, Into The Woods busts out The Gambler, Big Eyes sees little money, The Interview did alright, [Insert Tasteless Joke About American Sniper Beating Selma Here], and Other Box Office News. Ah, yes! That great American tradition of spending Christmas and its surrounding weekend at the cinema in order to try and force the family to shut up for 2 hours! As a Brit, I don’t get to experience this joy as all of our cinemas inconsiderately shut down on Christmas Day, like the people who work there have families they’d rather go home to or something. In any case, the majority of Americans chose to spend their Christmas returning to the cinema to re-watch that film they all saw last week. 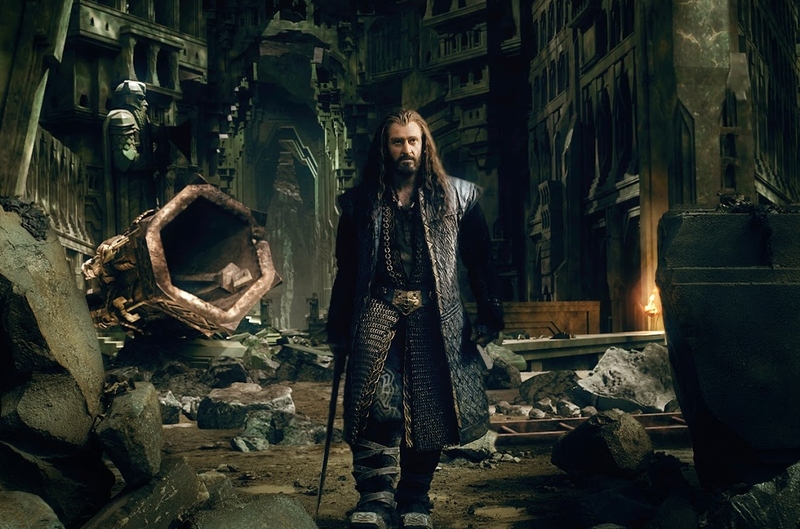 The Hobbit: The Battle Of The Five Armies easily beat off all comers to retain the #1 spot with $41 million in ticket sales and only a 24% drop between weekends, the softest for any instalment of The Hobbit trilogy (sort of, considering the fact that last weekend came after a Wednesday opening that burnt off some demand). In fact, Americans chose to spend a lot of their moneys re-seeing films from prior weekends over the holidays, even the ones that don’t deserve it. Night At The Museum 3 leapt up 20% between weekends because being sad about the passing of Robin Williams really does bring families closer together (not sarcasm, I’m speaking from experience), The Hunger Games: Mockingjay – Part 1 jumped up 27% in its sixth week to prove that, yes, this series is still a juggernaut that will make all of the money despite what the haters will say, and Annie increased by 5% presumably because a whole bunch of confused families didn’t realise Into The Woods came out this week. Elsewhere, The Imitation Game went nationwide in 747 theatres and smashed its way into the Top 10 because everybody is in love with Benedict Cumberbatch. I don’t quite get why, but it’s a thing nonetheless. The holiday weekend was also the last opportunity for studios to get their films out in time to be considered for awards season, hence the flood of new releases. Leading the charge was Angelina Jolie’s Unbroken which surprisingly smashed its way to the Christmas Day number 1 slot and then rode that momentum to a strong number 2 finish. That, however, only happened because Into The Woods opened on 600 less screens; it ended up losing the battle for second by only $700,000 even though it had a higher per-screen average, so these two may switch places when the actuals come in. Much less successful was the Mark Wahlberg-fronted The Gambler which only managed $9 million over the three-day weekend, sinking after a strong $5 million Christmas Day performance. In limited release news, Clint Eastwood’s American Sniper ran rampant on the competition, making $610,000 from 4 theatres over the weekend ($850,000 including Christmas Day) for a per-screen average of $152,000, the third highest opening per-screen average of any live-action film ever. Slightly less successfully but still a major success nonetheless was the opening of Selma, which took $590,000 from 19 screens ($912,000 incl. Christmas Day) for a per-screen average of $31,053. The inexplicably-not-nominated-for-Best-Foreign-Film Two Days, One Night finally received a US release and took $30,600 ($48,200 incl. Christmas Day) from two screens, whilst Leviathan managed $15,200 ($23,000 incl. Christmas Day) from two screens. FILMS!!! And lastly – good lord, this was a busy weekend – The Interview, after a whole bunch of utterly ridiculously insane and awful events, finally got a last minute go-ahead to be screened in select cinemas. So, after all of that hoopla, the film managed to take $1,811,000 ($2,851,000 including Christmas Day) from 331 screens for an average of $5,471 per-screen. Decidedly average, but that doesn’t count the fact that many of these were hastily-arranged at the last minute with few showings and the fact that the film has apparently made an extra $15 million over the weekend with its simultaneous VOD release. Depending on how that holds, we could be looking at the start of something new in film distribution, here. Time will tell, but for now I’m pretty sure Sony will be calling this somewhat of a success. Oh, and lastly lastly, Big Eyes, the new Tim Burton film and the best thing he’s made in at least 7 years (if you like Sweeney Todd) as well as a pretty bloody good movie in its own right, collapsed on 1,307 theatres with just under $3 million for 15th place. Dammit. Will the circle be Unbroken by this Full List? Let’s go Into The Woods for the last time this year to find out! The more I think back on The Hobbit trilogy, the less and less I like it. I find more faults, the stuff I like rescinds further into the background, and the stuff I dislike becomes more pronounced in my mind. The Lord Of The Rings, meanwhile and which I saw for the first time in the same two week period in which I saw The Hobbit, rises more and more and more in my estimations the more I think back on it, and I really, really liked The Lord Of The Rings when I saw it. I still don’t hate The Hobbit, but man I wish Peter Jackson had just moved on from LOTR instead of making a lower-quality facsimile of it. Saw this on Friday and ultimately left rather cold. Its intentions are pure and Jack O’Connell gives another commanding lead performance – now making him 3 for 3 this year – but its structure is a complete mess, any influence The Coen Brothers may have had on the screenplay has been near-totally scrubbed away by endless rewrites that make it more awards-baity and Jolie just doesn’t know when to stop overcooking certain scenes. Nothing about the film gives me any indication that Jolie was purely aiming for awards with this one, but the finished product seems perennially missing a “For Your Consideration” watermark over 75% of its reels and so nothing truly landed for me. Shame. Drops here in two weeks, which is a surprisingly quick turn-around for a Disney film, I gotta say. Still, really looking forward to this; there’s a lot of actors and actresses that I really like in it and I am dying for a musical that’s damn proud of its musical foundations and nature right about now. Yes, I am still angry about Annie. Still not an outstanding performance since the film inexplicably cost $127 million to make – and if you’ve actually seen the film, you’ll get why I refuse to believe that figure – but any film that increases its weekend takings by 20% from opening weekend at least deserves a modicum of respect tipped in its direction. Just $26 million away from taking the #1 Domestic Movie of 2014 spot away from Guardians Of The Galaxy. It’s got a good chance at making it, too, since Tak3n isn’t due out for another two weeks and the general dead zone of January (although it actually doesn’t look that bad this year) means that there’s a large opportunity for it to slowly earn small increments each week in the cinemas that keep it around. I think this is actually going to be rather close, folks! Transformers: Age Of Extinction is still the highest grossing film of the year worldwide by a good margin. Just thought I’d bring the mood down a little bit. Thanks for nothing, Mark Wahlberg! The wrong Benedict Cumberbatch movie is getting all of the money. Yes, you damn well perfectly know which film I am talking about. And, in the end, on that Saturday, I decided that no, I didn’t much fancy giving over 3 hours of my life to Exodus: Gods And Kings. So I saw Big Eyes and then went home. And you know what? I feel great about that! Now let’s all point and laugh at Exodus one last time before moving on with our lives. HAHAHAHAHAHAHAHAHAHAHAHA!!!! Callum Petch got time to kill, got folks to kill, on overkill. Follow him on the Twitters (@CallumPetch)!